Oh the things you can do with cinnamon. Sprinkle it on apples, add it to oatmeal, add a dash to coffee, cocoa, or tea. Use it in a pie recipe, on toast, or pancakes. Use it as a potpourri or almost anything else you can think of! The list goes on and on. Actually cinnamon goes far beyond foods, beverages and household aromatherapy. Cinnamon is one of the oldest spices, and has been used in conventional Chinese and Ayruvedic medicines for healing illnesses. Not only is it used to remedy sicknesses, but it can also be used as a DIY to create a natural beauty product. Regulates Blood Sugar – Research has shown that cinnamon governs blood sugar, allowing it to be a great choice for diabetics and hypoglycemics. Reduces LDL Cholesterol Levels – LDL has been coined the harmful or bad cholesterol. Lowering it may help prevent the chances of heart disease. A Good Source of Vitamins – It contains fiber, calcium, iron, and manganese. Relieves Menstrual Pain and Helps with Infertility – Contains a natural chemical known as cinnamaldehyde, which research has shown to boost the hormone progesterone and lower testosterone production in women, helping to stabilize the hormones. Anti-Acne Face Mask – Looking to relieve your pores of pesty build ups? This DIY treatment consisting of 3 tablespoons of honey, and a teaspoon of cinnamon is sure to get the job done. Mix together to get a thick smooth consistency and apply to face for 10min or until you feel a tingling sensation. Rinse with warm water. 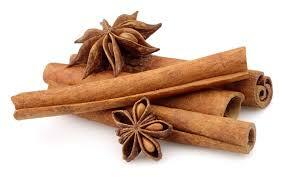 Breath Freshener – Swish warm cinnamon water in your mouth to relieve bad breath. Dry Skin Scrub – Tired of dry rough skin? Well here’s is a recipe to delight the skin as well as your senses. Note: You can preserve this mix in any mason jar or container. I’m personally looking forward to trying out some of these DIY’s as well as incorporating cinnamon into my regimen for my overall health. Join us for 40 transformational days of prayer and fasting! Cycle 9 of Surrender Fast 2015 begins February 23. Great tips Stephanie. I will definitely try the honey/cinnamon facial. I’ll let you know what I think.